Firstly the meat is bathed in Vinegar to help cleanse and tenderise the meat. The meat is then marinaded in our special blend of herbs and spices and left in the fridge for 24 hours. Once marinaded the meat is hung in a drier which dries the meat through a constant air flow and very low heat (Too high or too quickly would cook the meat; (not quite the outcome we want!) This can take anything from 3 -7 days depending on the thickness of the meat and the fat content levels. 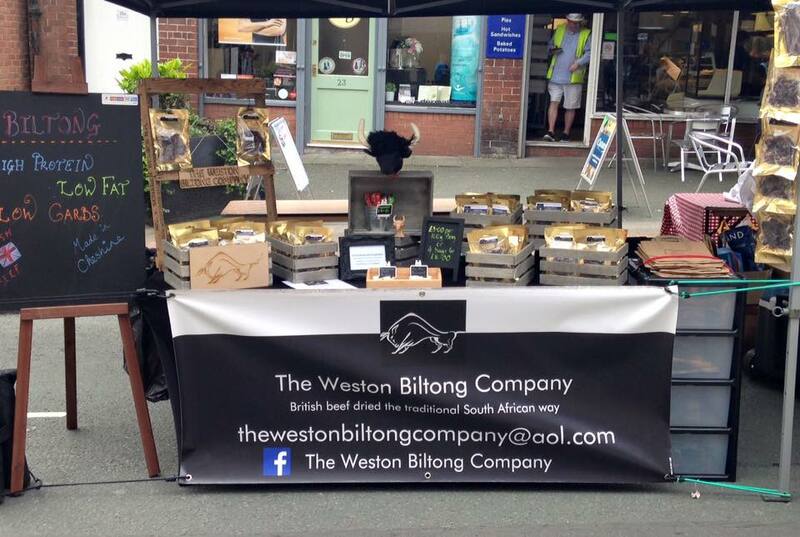 The meat is then sliced and flavoured with natural herbs and spices to the taste variations of original Biltong.